As a goalkeeper, you need to prepare both your mind and body before a game. You have to be confident that you are in the best possible shape to play. The goalkeeper’s warm-up should be different from that of an outfield player and should ideally consist of four elements. The first and most important thing is the goalkeeper is in a confident and in a relaxed state. This can be obtained through positive reinforcement and putting him or her in situations where they will achieve success. The body has to be ready to perform the movements required of a high-level goalkeeper (footwork, movements, contact with the ground and contact with other players). 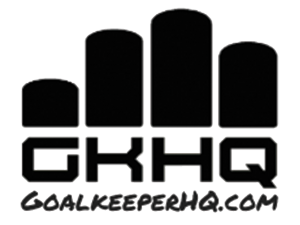 It is important to go through a variety of technical aspects of goalkeeping that will be used in a game. This has to do with either a scouting report on how your team or the other team play, the type of surface you are playing on, dealing with conditions and the balls that you are playing with. The Psychological & Game related situations can be incorporated into the Physical and Technical. Below I will address each. There are four parts to this specific category. Pre-activation. First, we want to get your stabilizer muscles firing. This includes activating the smaller core muscles surrounding your torso. This is because we all have muscle imbalances and by going straight into exercises, you automatically work your stronger muscles thus creating more of an imbalance. Examples of preactivation suitable for goalkeeper warm up. Examples of mobility /flexibility exercises suitable for goalkeeper warm up. See this video of Courtois doing mobility and flexibility exercises as he enters the field. 3. Moving stretches. This can be done with a ball and coupled with handling. 4. Build up & Load acceptance Now it is time to ramp it up if your planned activity involves power, speed, or agility drills to prepare for the game. This final step is preparing your nervous and muscular systems for higher speed, more complex athletic movements. This can certainly be incorporated into the Technical part or your warm up. See this video of Courtois doing these type of exercises as the final part of his physical warm up. The Psychological aspects needed will be reinforced through completing clean saves, or finishing on good saves, having the GK coach or other GK reinforce good technique. Service would have been hard, but not impossible and sufficient rest in between technical exercises. The goalkeeper should also be conscious that much of the aim of shooting practice is to give strikers confidence. The goalkeeper should maybe go in for a few shots to get a feel for the speed in which shots may come in and improve reactions, but should certainly not get down if shots go in. The backup goalkeeper should field the remainder of these shots. During the technical warm-up, you would have dealt with some of the natural conditions. Wet surfaces and skidding balls, turf, grass, mud, wind, sun or ice. It is important that you request one or two match balls to practice with ( If the team you are playing against has them) to get a feel. In my experience, different brands of ball feel bigger or move differently in the air. During the warm-up, you should have got an understanding of how the area and the goalmouth play before you kick off. Make sure between you and the server you really understand how the ball rolls when hit across the ground, how does it bounce? This can often vary drastically between in and outside of the 6-yard box so really do test it out and adjust your play style accordingly if needed. If a scouting report shows that the opposition prefers to do something, in particular, some additional time may be spent on that in the warm-up. We must realize, however, that the game warm-up should not be confused for a practice session.